PennsylvAsia: Satoshi Kon's Perfect Blue (パーフェクトブルー) in Pittsburgh, September 6 and 10. 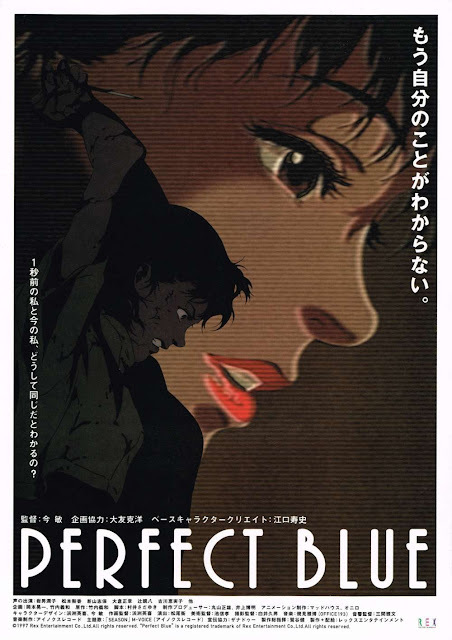 Satoshi Kon's Perfect Blue (パーフェクトブルー) in Pittsburgh, September 6 and 10. Forsaking the usual anime fantasy terrain for a straight suspense plot that might easily have been executed in live-action form, director Satoshi Kon’s debut pic, “Perfect Blue,” is a psychological thriller that intrigues without quite hitting the bull’s-eye. Animated feature is currently getting limited U.S. release in an English-dubbed version. The movie will play at Pittsburgh-area Cinemark theaters in Greensburg, Monroeville, and Robinson on September 6 (Japanese with English subtitles) and September 10 (dubbed in English). Tickets are available online. It will also play at the Row House Cinema from September 21 through 27 as part of an Anime film series.